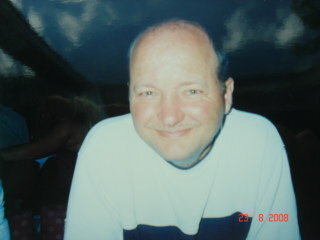 Andrew Wilson was last seen going to work at the Gypsy Queen Pub in Drakehouse Sheffield at the beginging of March 2005. But he never came back home. He left his passport behind. Andrew is very easy to get on with and has a really nice nature. He likes to help people out as he has a heart of gold. He likes motorbikes and cars and is very good at anything to do with computers and gadgets. This appeal has been placed here at the request of Andrew's sister, Tracey Lycett who just wants to know that he is OK. Anyone with information is asked to contact the Police in Moss Way Police Station Sheffield on 0114 2202020 or the Gardai at the missing person's bureau in the Phoenix Park Dublin.